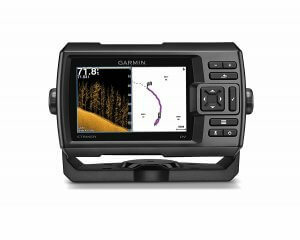 Garmin has done it again with their Garmin Striker line. 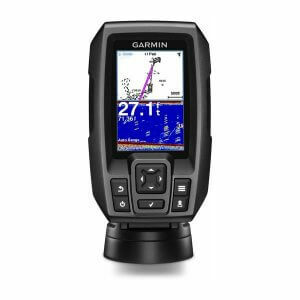 This line of fish finders are around the mid-tier to premium line, offering many features while staying at a reasonable price. There are numerous models within this lineup, and we will be going through seven of them: the 4, 4cv, 4dv, 5cv, 5dv, 7sv and the 7dv. 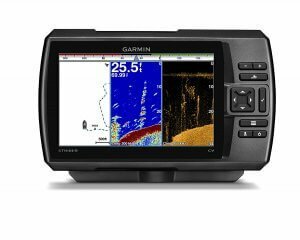 To give you a fair and accurate picture of how they are, we will present an unbiased look at each fish finder and also give you a list of their overall features and specs so that you can easily choose which one works best for you. The Garmin Striker 4 starts off this list as being both the smallest and cheapest of the lineup, but it actually provides you with a lot of desirable features at a low cost. 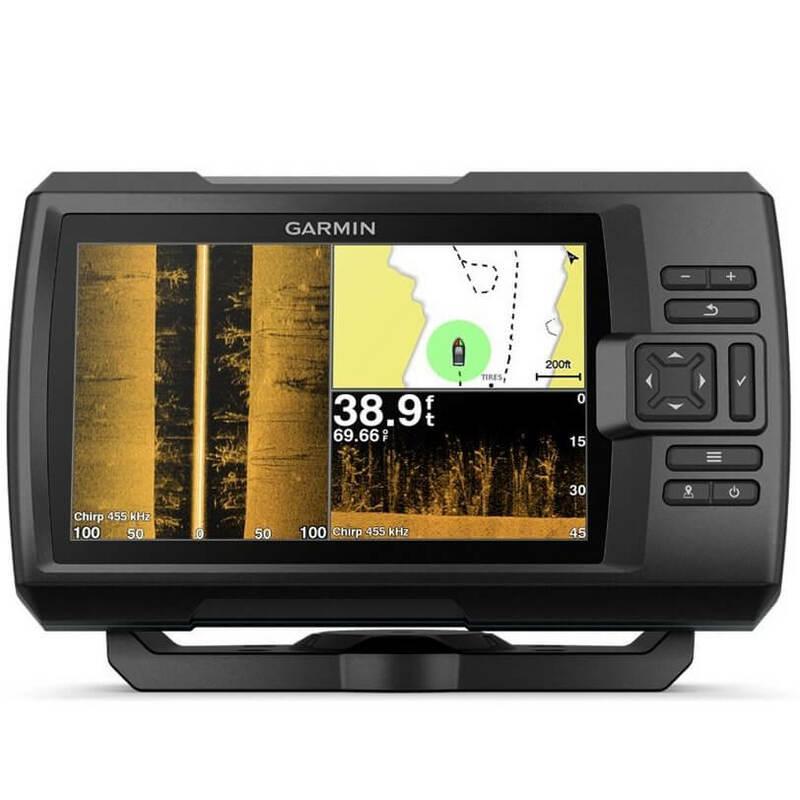 First of all, it’s one of the cheapest fish finders in general with a CHIRP sonar, plus it has a basic GPS attached to it for added functionality. The display is a little tiny, but that’s not too bad. It’s backlit so that you can see it during the day, and the color vibrancy is pretty good. You can split the screen between the sonar and GPS. This makes both panels fairly small, but they should still be visible. You can select between two different frequencies for the sonar. One is for less coverage but better clarity, while the other is a broader search to help in locating the fish in the first place. Switching between them is simple and done by pushing a button. The GPS here is very basic. It shows your position and allows you to store up to 5,000 waypoints, but it will not display your coordinates nor will it store maps. This is ideal if you just want a roundabout idea of where you are and don’t need all the extra metrics. In general, the Striker 4 is a basic model with a low price tag. If you just want a basic model, then this is perfect. It’s affordable and comes with a good amount of features. However, it doesn’t have down scan or other advanced features. As you can see from the specs, the Striker 4cv is very similar to the 4, but it has a few additions and a little extra power. Perhaps the biggest and most impressive additional is the ClearVu technology, which is a staple of make fish finders in the Striker series. 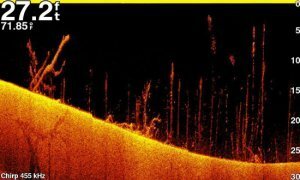 ClearVu is a type of noise cancelling technology that better shows images so that you can easily make out what the sonar is picking up. For example, a traditional sonar will just show a blob of color, but ClearVu will help you make out what the object is so that you know if it’s a fish, vegetation, a manmade object or a combination of objects. The 3.5-inch display is small, but clear for its size. You can separate it into two panels for the sonar and GPS, and it should be easy enough to read all the data. The color is reasonably vibrant and the LED backlight helps you see the sonar readings regardless of lighting conditions. 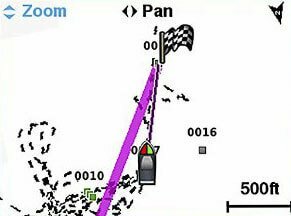 The GPS is basic as it doesn’t allow you to store maps, but it does give your position and helps you get from point A to point B. You will also see the water temperature along with your movement speed. 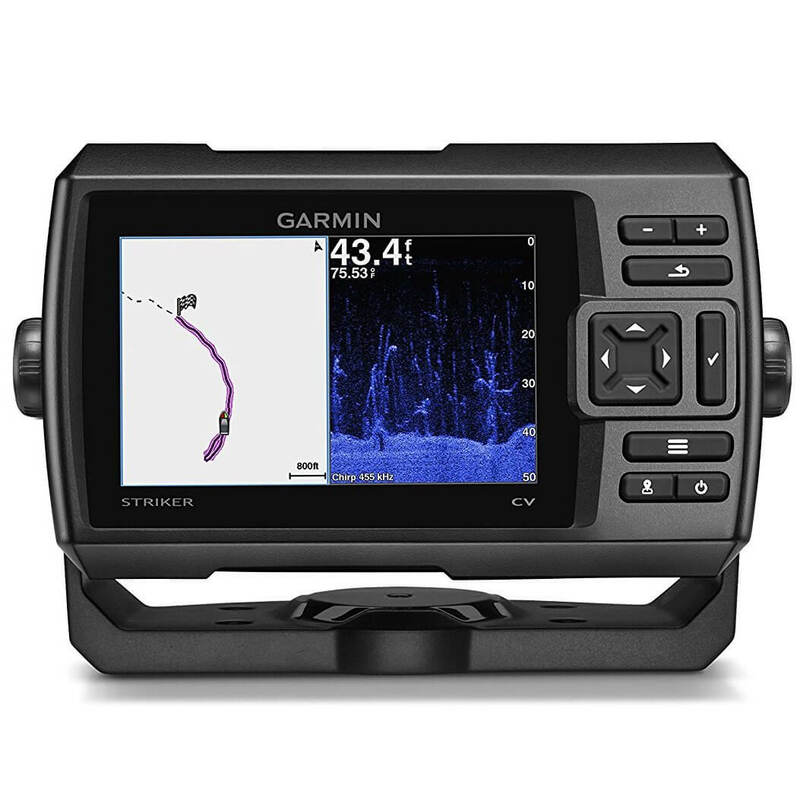 This is one of the most affordable CHIRP fish finders that you can find, plus the addition of ClearVu really helps you distinguish your findings on the sonar. If you’re looking for an affordable unit with a little extra oomph, then this is it. Going up another step, the Garmin Striker 4dv provides you with a little extra power and the addition of DownVu technology. 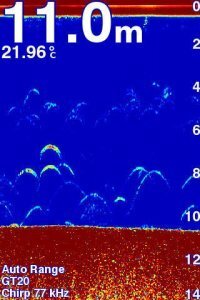 This is just another name for down scan (also called down imaging) and it’s a great feature to have as it gives you a fish’s POV under the water. Along with this, you also get the benefits of ClearVu for removing noise, and you can easily change between frequencies for the CHIRP and traditional sonar. This is all accomplished by pushing the buttons on the interface. The GPS is unchanged from the other models, and it’s quite common with the whole Striker series. You can store up to 5,000 waypoints and gather some information like speed, temperature and directions to your next waypoint. The DownVu addition might seem small if this is your first foray into fish finders, but it’s actually a big deal. Down view makes it very easy to make out fish and to see deeper into the water so that you know exactly what’s under there. If you don’t mind spending a little extra and you still want a small unit, then the 4dv is perfect. The Striker 5cv receives a number of benefits over the Striker 4 products. The first difference you’ll notice is the bigger screen. While it’s just a one inch difference, it gives you much more room and both the resolution and color vibrancy are significantly better. 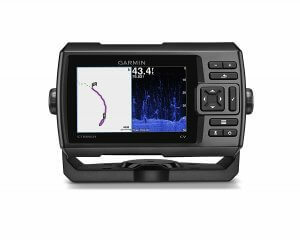 As you can guess from the “cv” in the title, this is a ClearVu fish finder, meaning that it does a wonderful job of scanning the water and not allowing any noise get in the way. This ensures that your images are as clear as possible. Not only that, but the Fish Symbol feature will make sure that you can quickly ID fish, thus removing any guesswork. You can activate a multi-panel view to see several types of scans at once, ensuring that you can read from both the CHIRP and ClearVu scan. The depth should be quite adequate for most bodies of water, and the GPS will help you navigate from one waypoint to another. While there are no maps, you can make your own by linking one waypoint to another. 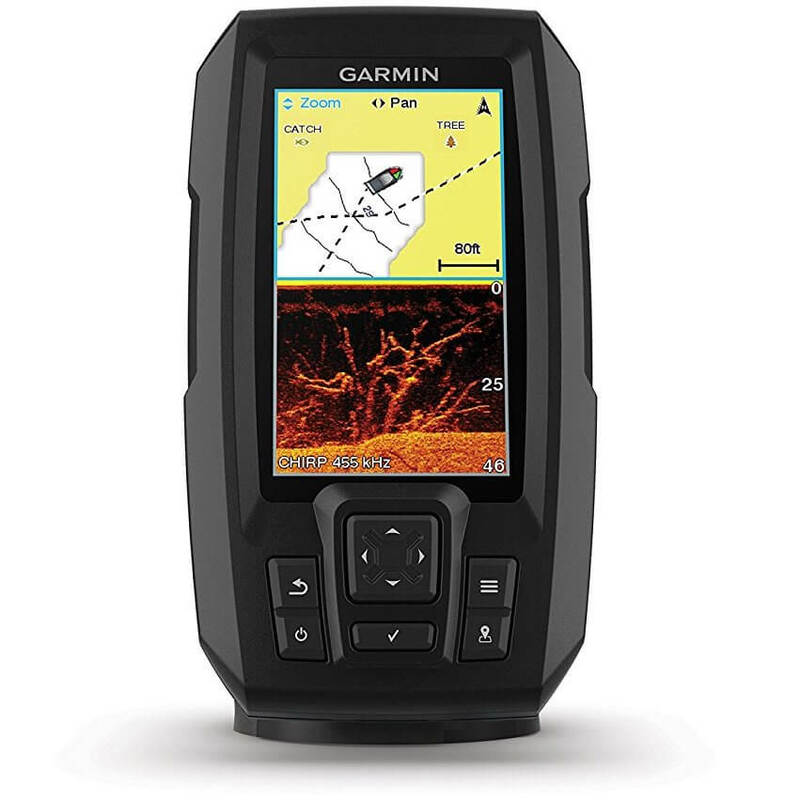 This fish finder gives you a little extra power, better scanning and the larger display makes it easier to see everything. If size matters to you and you want to keep costs down, then the 5cv is a good upgrade over the 4 series. In a lot of ways, the Striker is similar to the 5cv, but there are two huge changes that may make you spend the extra money. Starting with basics, you get the 5-inch screen with the 800×480 resolution and vibrant colors. The major sonar types are CHIRP and DownVu. DownVu scans deep under the water so that you can see exactly what it looks like down there. ClearVu has a broader search, but DownVu is the clearest and will help you better distinguish objects and fish. While the GPS is still basic and relies completely on waypoints, this unit allows you to connect to EchoMAP via the data cable. You can thus transmit waypoints and routes from one unit to another. Switching between frequencies and sonar views is incredibly simple. Just push a button or two and it’s done. The buttons have been moved to the right-hand side, but they’re just as easy to operate as with the smaller units. If you want DownVu and the ability to connect to EchoMAP, then this unit is definitely right for you. However, the features otherwise are quite similar to the 5cv. If these aren’t too important to you, then the 5cv may be a better buy. Do these specs look familiar? They are almost exactly the same as the 5cv. Actually, the only different you’ll spot here is the larger screen. That’s not a mistake. The 7cv is the same exact unit, it’s just a lot bigger. While you may be surprised that the resolution isn’t any better, you’ll be happy to know that the screen is still quite clear. Actually, the larger screen improves the multi-panel view, making it much easier to see the scans and what they are telling you. Also, the LED backlight will ensure that you can see all the scans regardless of the time of day. 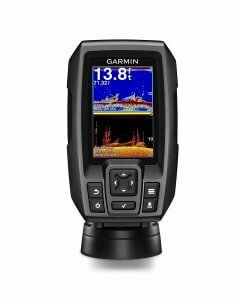 While there aren’t any other updates to speak of, and the price tag is larger due to the bigger screen, this is still a great fish finder that’s worth the money. The depth is good, you can easily switch between frequencies and both ClearVu and CHIRP imaging, and you get the store up to 5,000 waypoints for your journey. This all comes down to size. If you thought that the 5cv sounded good but that it’s even better with the larger screen, then this is worth the money. If you’d rather keep costs low and don’t mind a 5-inch device, then the 5cv might be better. For those of you who are experienced with fish finders, you may have been wondering where the side imaging was. Well, here it is. This is the Striker’s top model, and you can see why. SideVu gives you a 180-degree view of everything under and around your boat, making it easy to find fish or other objects that other imaging types would miss. Not only that, but you can view all three types of imaging (SideVu, DownVu and traditional sonar) at once, each in its own panel. You’ll be able to see far, deep and wide simultaneously without switching between views. Another big benefit is that there are more frequencies to play around with, making it easier to balance distance and clarity than with the other models. 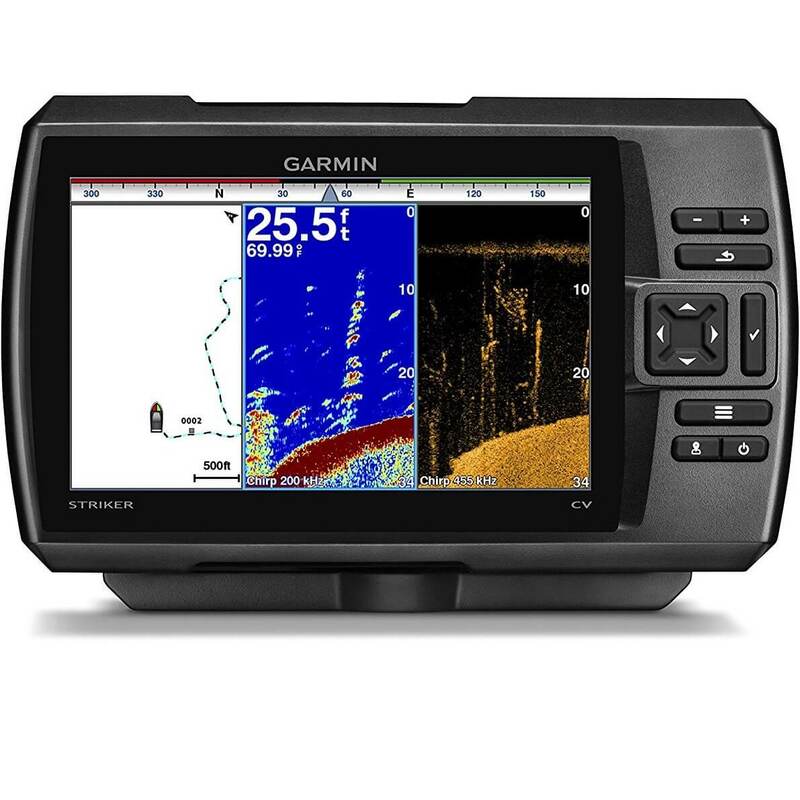 The depth is adequate for most bodies of water and the GPS, while still basic, helps navigate you through the waters. 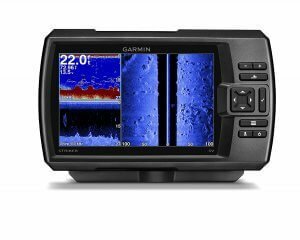 This is a top-ranking fish finder that gives you some professional tools without being too expensive. The additional imaging type will be welcomed by many who are serious about fishing. 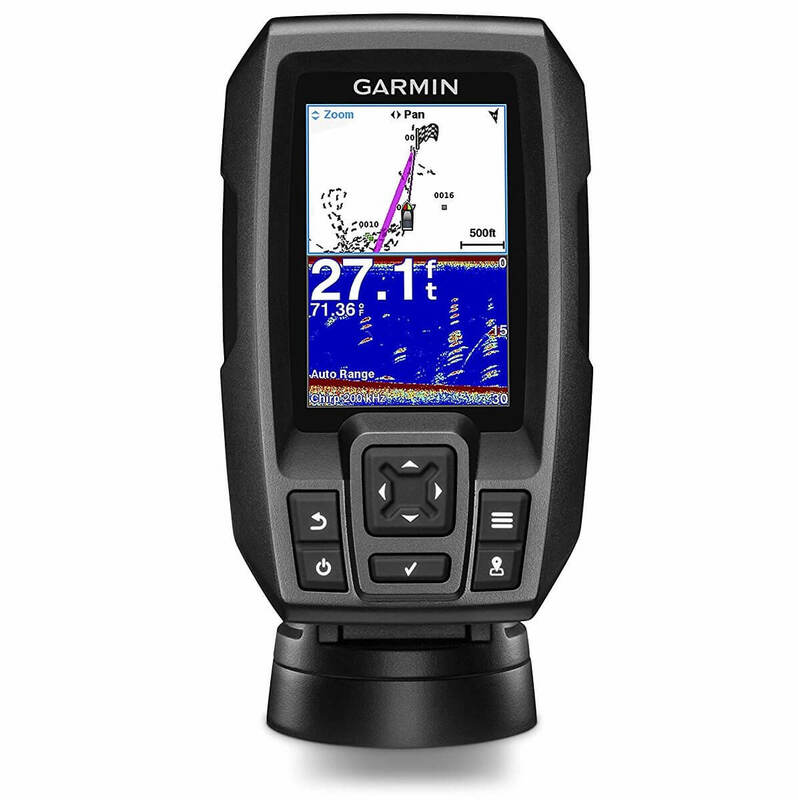 If you need the best of the best, then the Garmin Striker 7sv fits the bill.